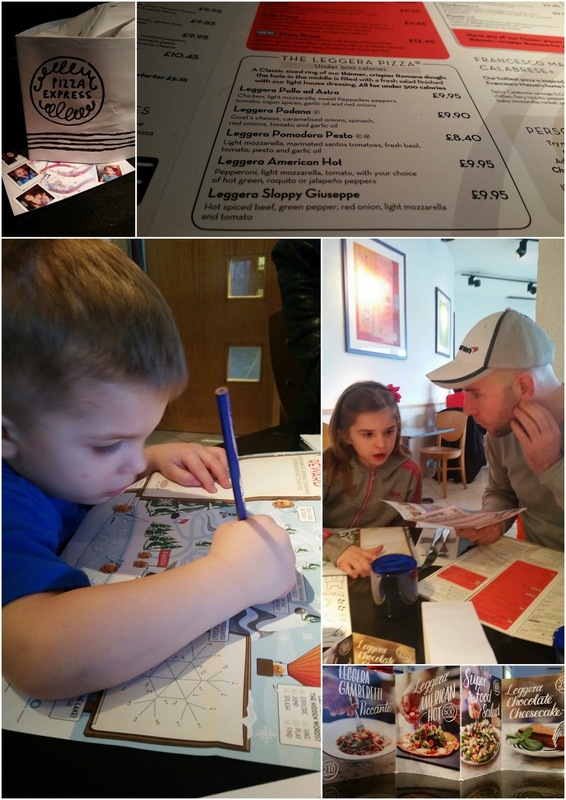 This weekend I took my family to visit our local Pizza Express in Sutton Coldfield. We all love pizza so there was lots of squeals and cheers when they found out where we were going. 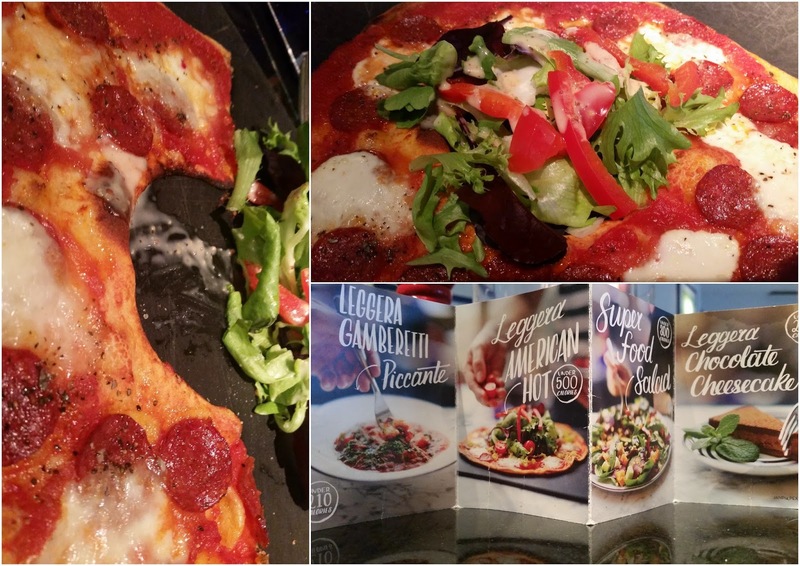 Although I love pizza, I don't like 'pigging' out too much so I was on a mission to try their new lighter Leggera range which is perfect for anyone on a diet or trying to eat that little bit healthier. I'm not very good at eating healthy as I don't eat salad at all - yes I know that sounds very bad but being a fussy eater sure does have it's downsides. We were greated by a member of staff armed with menus and colouring books (the kids menus) and taken to our table inside their lovely restaurant. We were lucky enough to get a table right in front of the kitchen workstation so we could watch all the magic (cooking) taking place which was fantastic, the kids were very intrigued. I loved the idea of the kids Piccola Menus doubled up as activity books full of puzzles to do and pages to colour. It was a great way to keep them entertained whilst waiting for our food. For starters we all had dough balls, just different kinds as yes there are choices. The kids each had a cute little plate of plain dough balls with a dish of salad and a pot of garlic butter. My son was a little wary and didn't want to try them as he too is a very fussy eater but after one bite he was hooked and cleaned his whole plate happily mumbling 'mmm'. 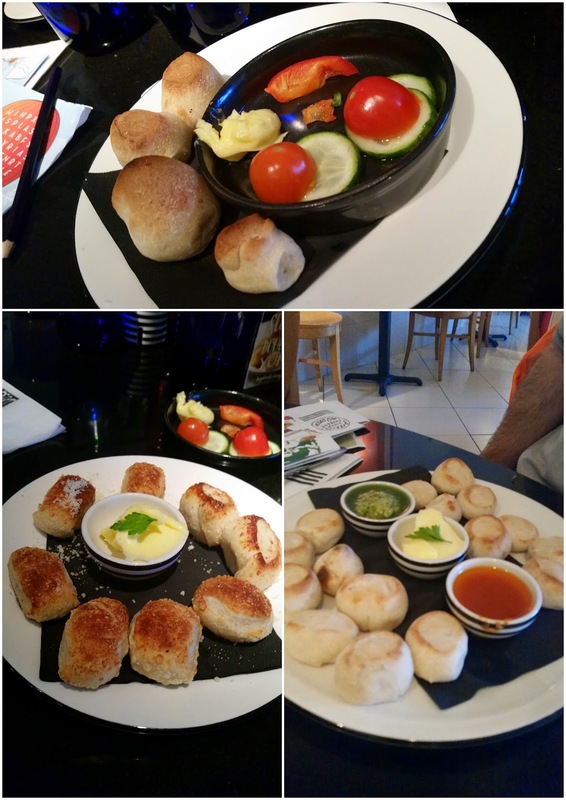 Daddy had the Doppio dough balls sharer which came with a delicious selection of dips. I did have a look at the Leggera options but with a daughter allergic to prawns and me not eating salad I went for the cheeky Dough balls Formaggi which was cheese coated dough balls. I'm happy to report that the starters were a huge success and everyone loved their dough balls. 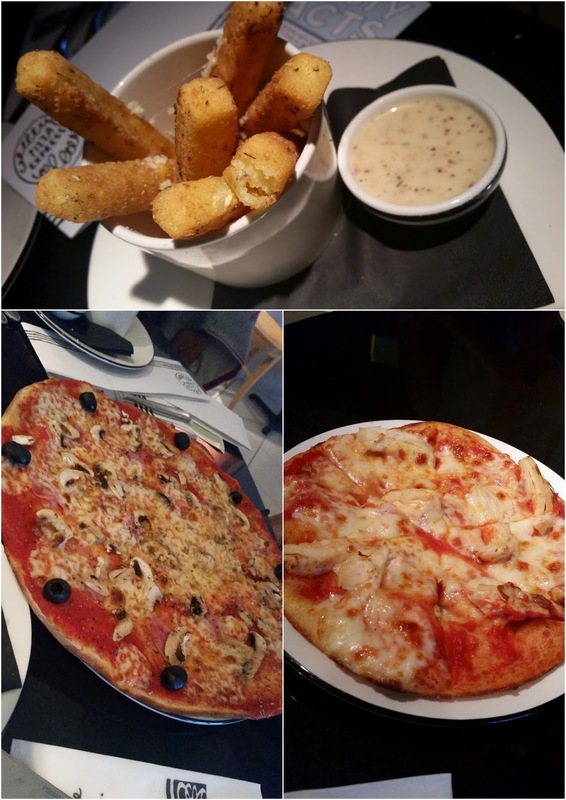 Next up was our mains and I'm happy to say that this time I was a good mummy and went for the American Leggera choice which advertised a delicious pizza for under 500 calories. All three of my kids went for the Chicken Pizza whilst Daddy chose the Romana La Reine. My Leggera American was delicious, it was made up of pepperoni, light mozzarella and tomato. Mine was a lot smaller than Daddies but I guess that's to be expected as mine was under 500 calories and Daddies wasn't. The flavours were great, I really enjoyed the taste. I did wish it was a little bigger so I could have enjoyed more of it but that's just me. My pizza had a hole shape cut out of the middle which was then filled with a healthy salad. I will admit, I didn't eat the salad but it didn't go to waste as my eldest daughter ate it for me. Everyone really enjoyed their pizzas, there was no complaints at all. We ordered 4 lots of Polenta Chips to go with our pizzas which I love, they are just so good. I know they're not particularly healthy but I didn't mind as they tasted so good. There was healthier Legerra side options but again I choose not to have one as I don't like salad. The Polenta Chips are my all time favourite chips and the honey and mustard dressing they are served with is just to die for. 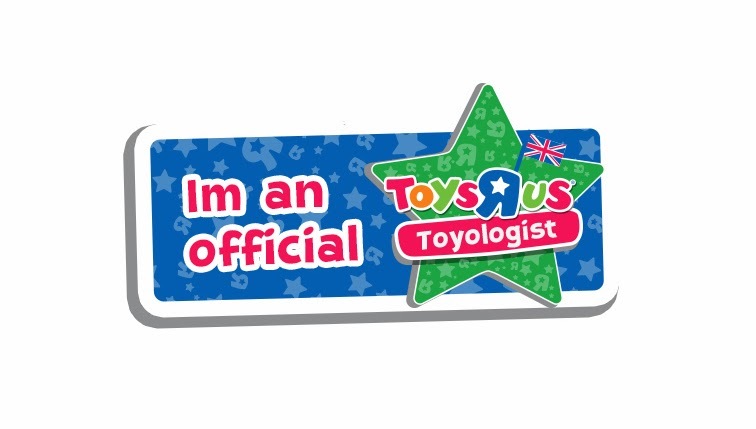 I'm happy to say that we were all a big fan of those. Pizza Express have a very large desserts menu which I love, there's always so much choice whether you want a healthier option, a smaller bite or a full size pudding. 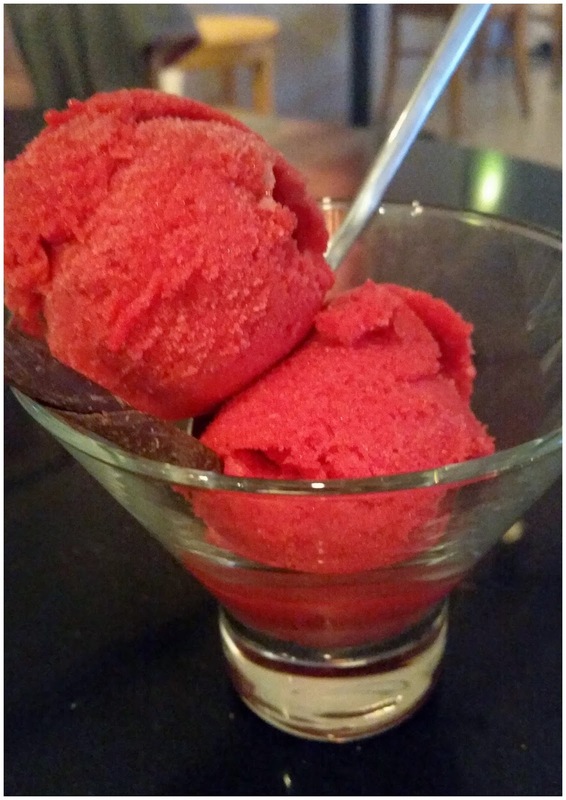 The Leggera Raspberry Sorbet was lovely, 2 full scoops of icy heaven. I liked the fact that even the kids could swap their ice cream for the healthier sorbet in their desserts too. The kids desserts were amazing, Ryan enjoyed a chocolate brownies and a rather cute Bambinoccino which was a tiny cup of frothed milk with a sprinkling of chocolate powder. Lily had the Piccolo Sundae with raspberry sorbet instead of ice cream which she loved. 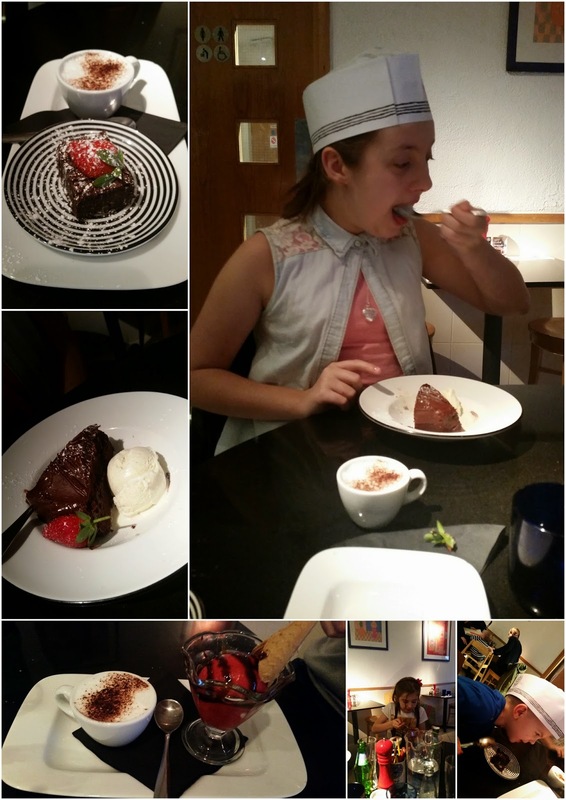 Chloe went for an adult sized Chocolate Fudge cake whilst Daddy went for the Vanilla Cheesecake. Every dessert was beautifully presented and tasted great. Everyone loved their desserts, there was a lot of 'mmms' and 'oohs' going on at our table. My youngest Ryan never normally eats puddings but he absolutely loved his chocolate brownie, he even licked the spoon clean when he had finished. 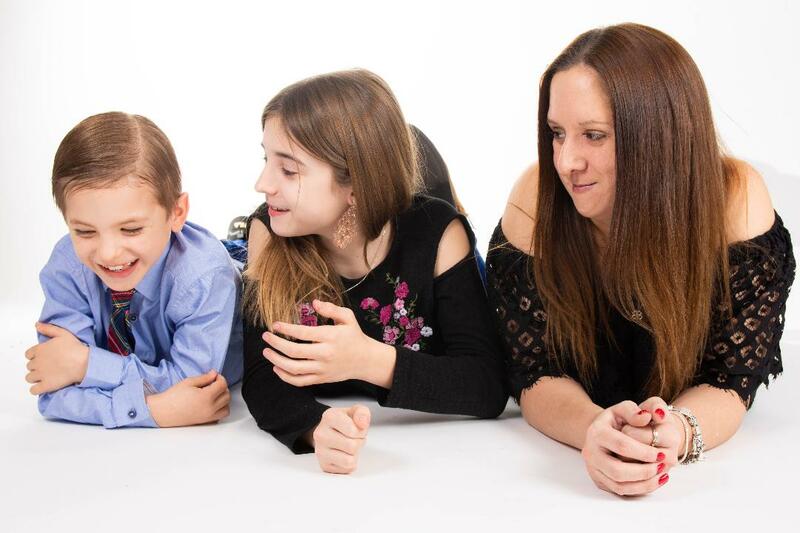 Our overall experience was one of a fantastic family meal out. 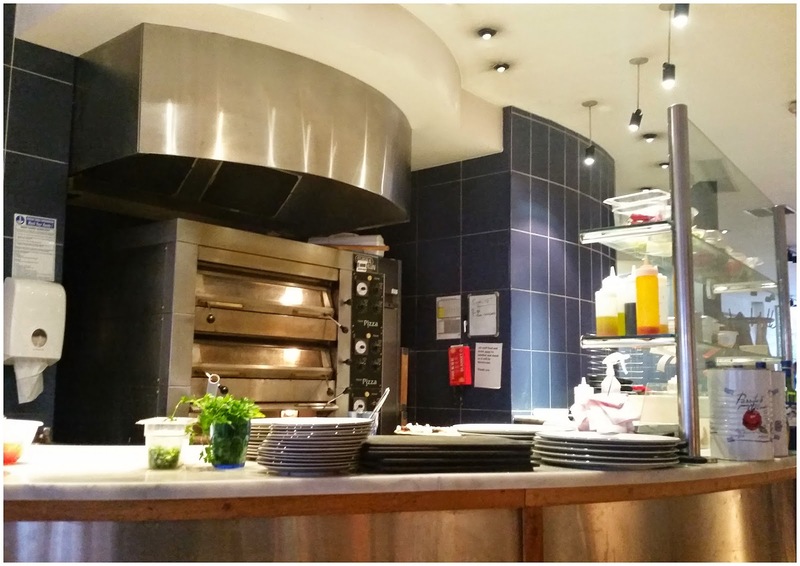 The staff were very friendly and helpful, the restaurant was clean and atmospheric and the food was delicious. 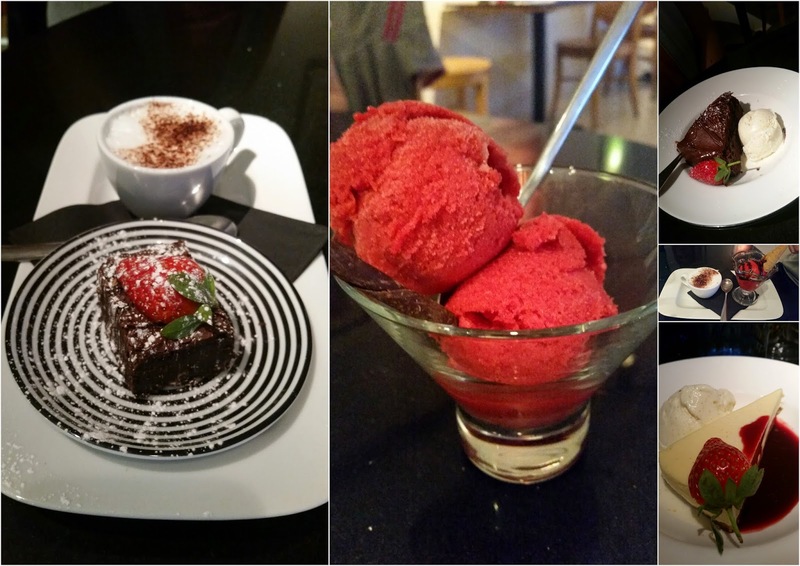 I really enjoyed myself, it was great knowing that I had not eaten too many calories as I'd gone for the Leggera pizza and dessert options. I still got to enjoy the great taste and enjoy my food without having the guilt of thinking I'd eaten too much. My children are now looking forward to their next visit to our local Pizza Express. My Lily spotted they do childrens parties and now has her eye on having one of them. 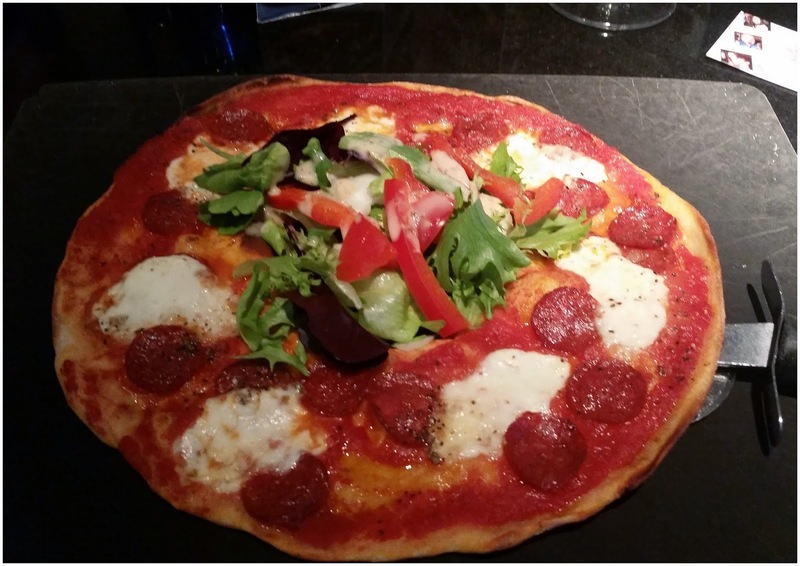 Our Pizza Express never fails to deliver great service and great food and with their new healthier Leggera options there really is more to celebrate and enjoy. 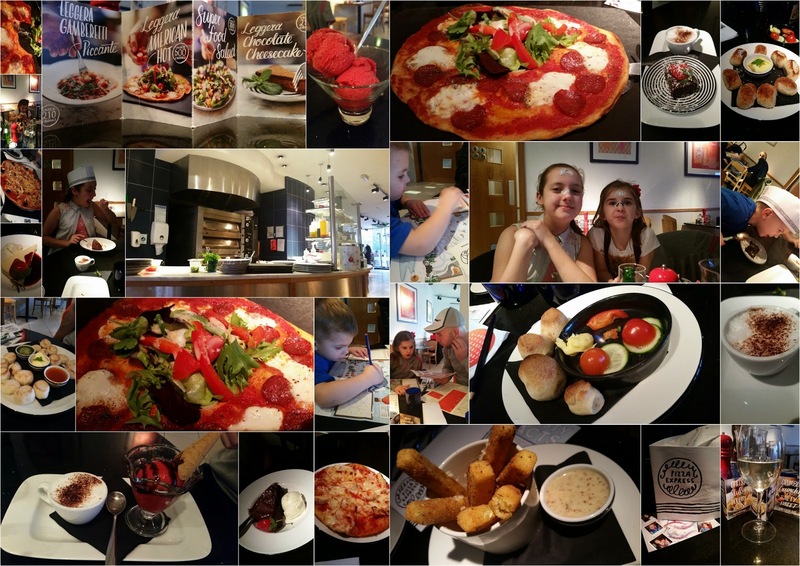 Disclosure: We were invited to dine at our local Pizza Express for free in return for an honest review. 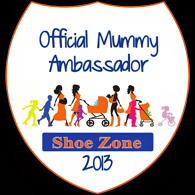 #WIN an amazing Swoops Scooter Balance Bike. 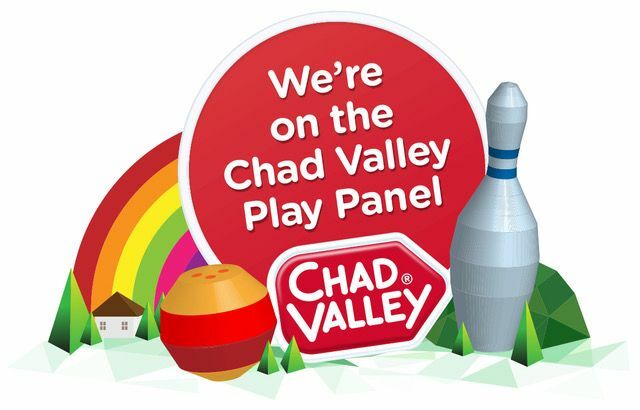 #WIN a Cadburys Valentine Treasure Box! 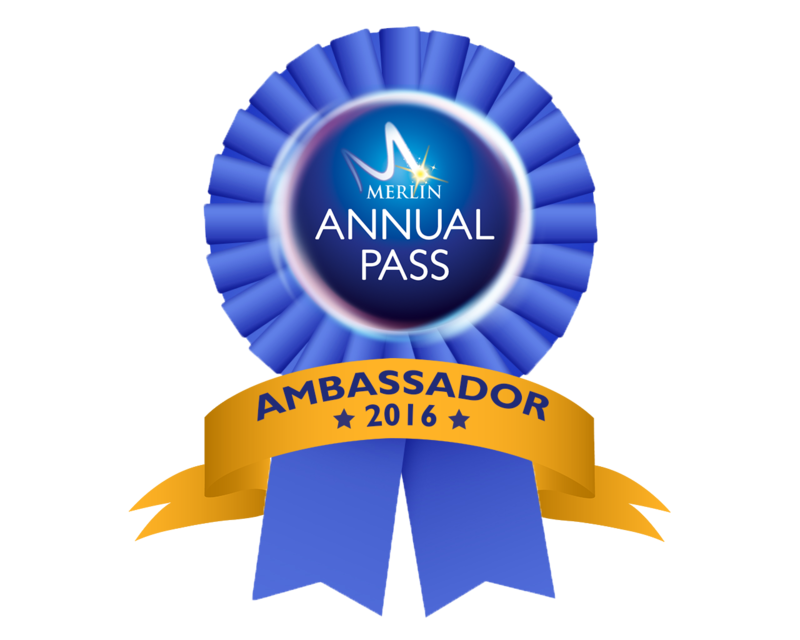 A New Year = A New prize! #Win 9 x Cadbury Roses!